Dec 23 Who Inspires You? My grandpa Aron was born in Buenos Aires, Argentina. He worked in the leather industry. He would go from tannery to tannery searching for quality skins. After some years of working and saving money, he soon saw an opportunity to move to America. He was extremely talented with leather. He could look at a piece and know exactly what kind of animal it was without even touching it. When he arrived in America he moved to Queens, New York but worked in Manhattan. He made a name for himself in the garment industry and everyone fell in love with his work. When my grandpa died on January 27, 2007 I felt as if I lost a piece of me. No one is ever ready for death. But the days, months, years after his death the memories were the only thing that kept him alive. My family is from Sicily and Argentina and we firmly believe in the idea of a family and always being there. My grandpa never missed a holiday or a family gathering. 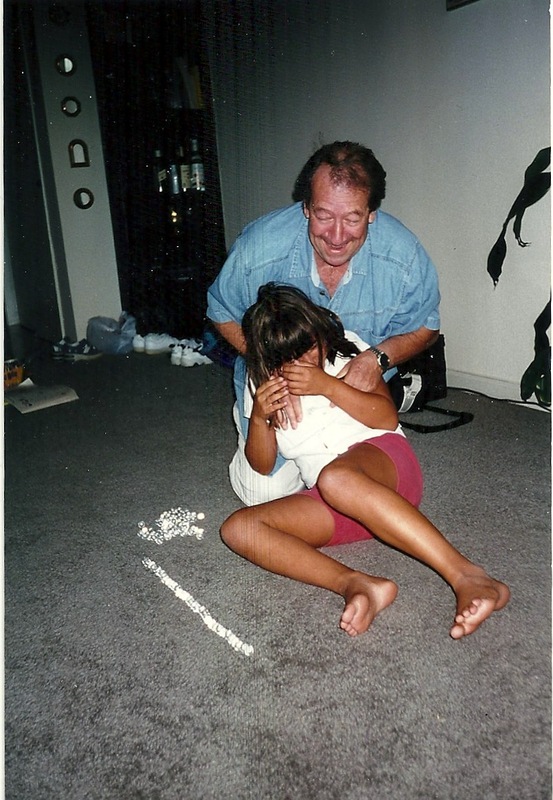 I was his first grandchild, which meant I was absolutely spoiled as a kid and I still was as a teenager. I remember he would come over to my house and never once forgot to bring me empanadas. The house would smell of sweet, spicy meat roasting in a little oven pocket of pastry dough. I would always jump for joy and eat them like I have not eaten in ten years. Cooking is vital in my family, but my grandpa could cook up a storm. He always experimented with his recipes, which never failed. The passion and love he put into cooking would always astound me. Being around my grandpa kept a smile on my face. I still remember the scent of his aftershave and the cigarette smell that stuck to his clothes. I hate cigarettes. But when it came to my grandpa that did not matter. I would always run to the door when he came over and gave him a big hug. He was quite tall, 6’0 or so and me being 5’2, his arms would tower over me. The sense of security, love and comfort overwhelmed me each time. My grandpa knew how to light up a room. His vibrant loving personality attracted everyone to him, like a moth to a light. He was the life of the party; things were not the same if he were not there. It has been six years now, and you start to get back to your busy life and slowly certain memories begin to fade. The reality of a loved one being gone really settles in. If I did not have the distinct memories of my grandpa, I do not think the road to getting over a death would have been easy. Memories, food, scents, words, and stories are keeping my grandpa alive even six years later. I was very close to my grandpa, so anything I can do to keep his legend alive in my family, I am willing to do so. Heroes and legends never die even when the people are no longer with us. It is family members, friends and loved ones that keep telling the same stories he has told or continue to cook his recipes from generation to generation. I chose not to forget and I want him to live within my family as if he were still here. We still talk about him like it was yesterday, seeing him setting up an Argentine barbeque, physically they are no longer here but in any way shape or form, somehow they are still here as if they never left us. I inherited his passion for life and work ethic. I know he would be extremely proud of me for following my dreams and passions to travel the world. I miss him everyday. I want to know who inspires you!! A friend, lover, family member etc. Send me your best inspirational story, the most heart-warming one will be featured on my blog. I look forward to reading them!